The 7th annual London Korean Film Festival has begun, ending on 10th November, but will subsequently tour Bristol, Glasgow and Bournemouth till 16th November. We're lucky to be giving away a pair of tickets to a screening of 'I AM: SMTown Live World Tour In Madison Square Garden', which will give viewers a wider look into K-pop than the ubiquitous 'Gangnam Style'. Enter the competition and read more about the festival below. The opening night saw the European premiere of heist thriller 'The Thieves', a Korean box office hit which plays again tonight at the Odeon Kingston. Other highlights include 'The Weight', winner of the Queer Lion at this year's Venice International Film Festival, a director Q+A following a screening of 'Woochi The Demon Slayer', and the Tony Scott-inspired 'Black Eagle (R2B: Return To Base)'. The latter film stars K-pop sensation Rain, who has also appeared in films such as 'Speed Racer' and 'Ninja Assassin'. It's one of several links to Korean music at this year's festival - including screenings of the musically inspired omnibus 'Acoustic', the K-pop-centric 'Mr Idol', and ''I AM: SMTown Live World Tour In Madison Square Garden'. 'I AM: SMTown' showcases the SMTown stable of K-pop artists as they take on the first ever East Asian music performance at the world famous Madison Square Garden in New York. Part documentary, part concert film, the story follows BoA, Girl's Generation, SHINee, KANGTA, TVXQ, Super Junior and f(x) in their everyday lives and as they gear up for their groundbreaking performance. HOW TO WIN: We're giving away 2 tickets to the screening of ''I AM: SMTown Live World Tour In Madison Square Garden' on Wed 7th Nov '12 at 20.10 at London's ICA. 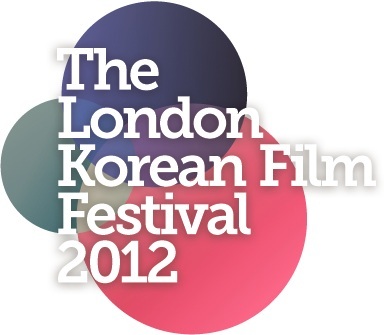 Find more info and purchase tickets at koreanfilm.co.uk.